networking – Real Science at SOEST! HAS MOVED! 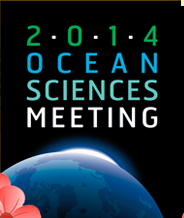 The biennial Ocean Sciences Meeting kicks off this upcoming Sunday with talks, workshops, mixers, and events galore. It is hosted by three major oceanographic associations (ASLO, AGU, and TOS) and it is an event where you not only showcase the work you’ve been doing with an international audience but where you network with peers and scientists from various organizations and universities. As we think about what we might be doing after our various degrees, it is important to prepare ourselves for the networking madness that will occur at events such as this one. So in preparation, we decided to post some links. Hope they are helpful! Have a smartphone: download the app to help plan your days! No smart phone? There’s a web planner too! Kick off the meeting on Sunday by listening to Elizabeth Kapu’uwailani Lindsey, a Polynesian National Geographic Explorer and the first female Fellow in the history of the National Geographic Society. Tuesday- Speakers include local professor Bob Richmond, and there will be a panel discussion on ‘Why aren’t they listening?’ to scientists about climate and environmental science which will be a panel of experts including NPR journalist Richard Harris, science communication professional Christine O’Connell, Director of Mason’s Center for Climate Change Communication Edward Maibach, and President and CEO of the Aquarium of the Pacific Jerry Schubel. There are a lot of interesting workshops being held during lunch and after poster sessions, be sure to check out your options! Opening mixer reception, beer breaks, poster session receptions, Tuesdayevening Jam session at Mai Tai bar, 5k Fun Run at Ala Moana ParkWednesday morning, Nerd Nite, and an opportunity for RV Falkor Tours are detailed here! Tweeting live from talks is a good way to get people involved who couldn’t attend the conference! Presenting a poster? Make it available online for more exposure throughePosters! Drop us a note or write in comments if you come across other useful links! See you at the Convention Center!